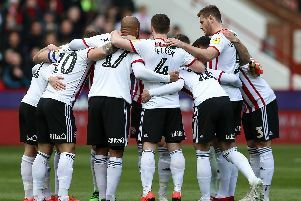 Sheffield United slipped to second in the Championship table, behind new leaders Middlesbrough on goal difference after losing 2-1 at Derby County. 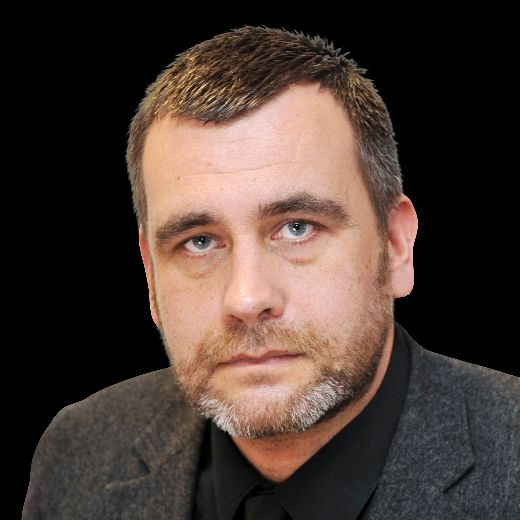 The Star's Sheffield United writer James Shield picks apart this evening's game. Key Moment: Clearly, Jack Marriott's second-half winner was the key moment. It was a class one too, as both Chris Wilder and Frank Lampard admitted afterwards. Even though Wilder accused his defence of "going to sleep" when the ball was whipped into the penalty area. But the real defining moment of the game came after the interval when, after seizing control of the contest long before Chris Basham's equaliser, United failed to maintain their momentum and impetus. Yes, on this occasion they lacked a little quality in and around the Derby penalty area - John Fleck's superb assist apart of course - but it would be more accurate to talk about a defining period rather than a single moment. Key Man: Chris Basham scored United's equaliser and John Fleck produced some mesmerising footwork to create the chance. Dean Henderson also caught the eye, producing big saves at what, until Marriott pounced, appeared to be big moments. He he was powerless to prevent the former Ipswich Town striker guiding the ball home. It was, in fairness, a top class finish. But Enda Stevens also deserves an honourable mention after making two vital interceptions as both sides wrestled for the advantage. The first prevented Harry Wilson from finding the unmarked Marriott during the first-half. The second, which appeared to leave him in a degree of discomfort, stopped another slide rule pass from releasing Florian Jozefzoon. How the Game was Lost: United showed good composure to establish a foothold in the game so quickly after suffering the worst possible start. Their equaliser, which came during the closing stages of the first half, was more than deserved. But the lost some momentum at the beginning of the second period and allowed Derby to clear their heads. Although neither would admit it publicly, both Wilder and Lampard would have privately settled for a draw. But Marriott's excellent goal saw Derby secure the win which lifted them to fifth. Oliver Langford and his assistants should be more than satisfied with their display at Pride Park. Yes, there was the odd occasion when the respective benches questioned the match official's calls. But Langford never got flustered, showed he has no problems with allowing players to compete physically for the ball and, as a result, allowed the game to flow without too many unnecessary interruptions. This was a game between two very different but extremely effective teams who, on the evidence of this match, are both equipped to challenge for promotion to the Premier League. United will still require some strengthening during the January transfer window, most probably in attack, but they showed good character and plenty of calibre against opponents who, understandably given the presence of Lampard and Jody Morris, have the pick of Chelsea's best youngsters. After making the worst possible start, United grew into the match and deservedly levelled through Basham. Derby created the better chances after the break and took the points when Jack Marriott, their man-of-the-match, produced an excellent finish which left Henderson with no chance. Wilder will naturally be disappointed with the result and likely to pick apart aspects of United's display. But he will encouraged by hard how the opposition had to work for the result; a fact Lampard acknowledged afterwards. Not that Wilder was in any mood to say so afterwards.